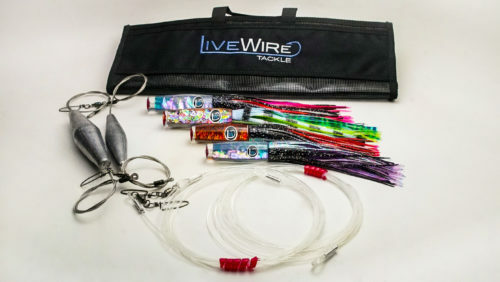 Custom Offshore Trolling Kits - Wahoo, Mahi, Sailfish, Marlin & More! 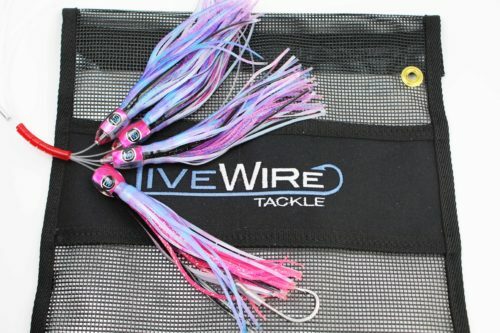 Don’t forget this bag when your prepping for the wahoo tournaments in the Bahamas. When fishing in the bahamas the bigger the lures, the better! Immense amounts of preparation goes into landing a tournament winning fish: knowledge of the waters, favorable weather/tides, lure selection, and of coarse a little bit of luck. Out of all these uncertainties, the only thing we can control is lure selection. 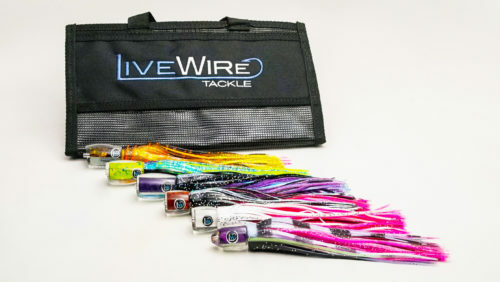 Every lure kit is engineered to produce phenomenal results. 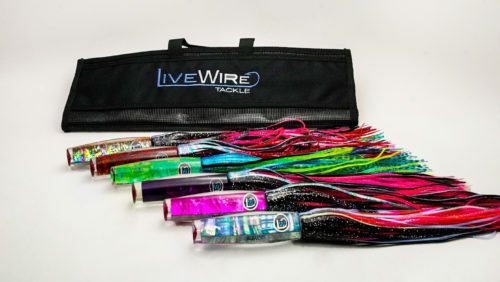 We rig every lure with using premium terminal tackle, mono, and cable to withstand the extreme stress during a long battle. 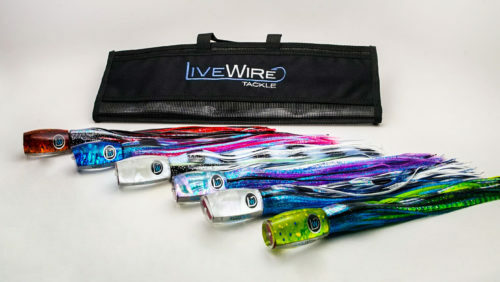 All lures use premium stainless steel hooks and clear heat shrink to produce the strongest and most durable hook sets available. 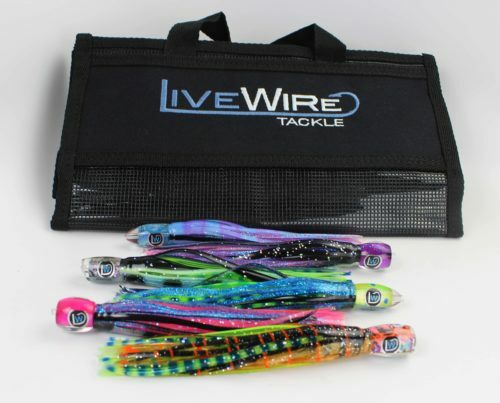 All lure kits include a premium lure storage bag that is 100% made in the USA. Florida & Bahama waters are known worldwide for amazing offshore big game fishing. 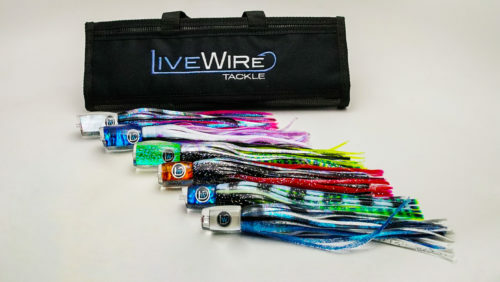 The amazing fishing in these waters has attracted so many anglers including Rich Gamret, the owner of LiveWire Tackle. 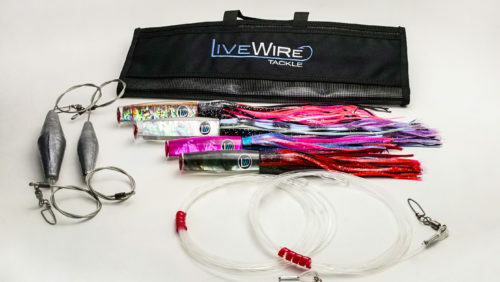 The LiveWire crew eats, breaths, and sleeps Offshore fishing in Florida & the Bahamas. 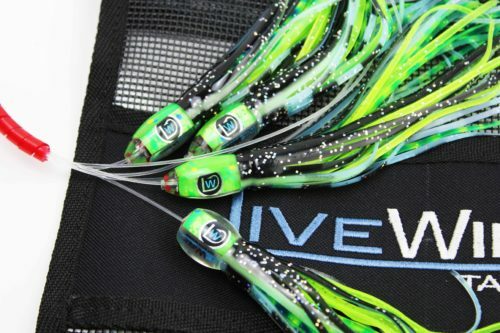 Their passion for fishing and love of the ocean shows through into every custom lure they make.